Reconstruction made by the Italian archeologist Mauro Fiorentini. Picenian culture (9th to 3rd Centuries b.C.). 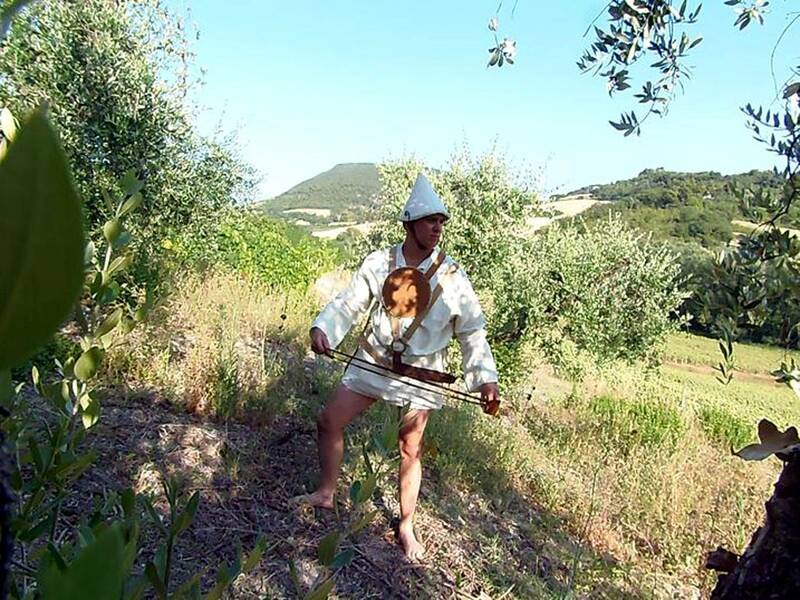 This warrior has very little defensive equipment and is armed with the Novilara sword and a sling capable to shoot stones and lead bullets at a distance of 400 meters and a speed of over 400 kilometers per hour!